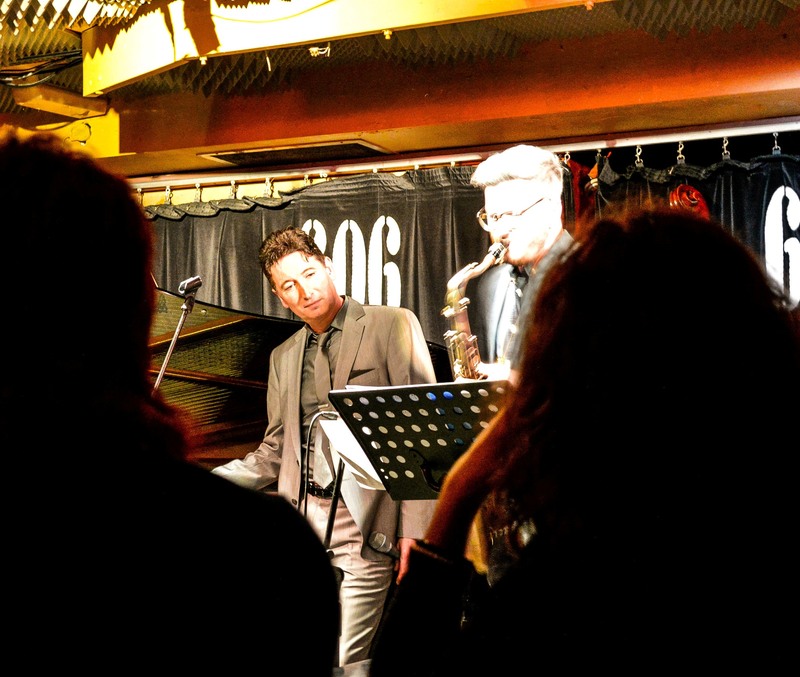 Creative & original mainstream jazz from one of today’s most individual new male jazz voices – charismatic singer/songwriter, Kevin Fitzsimmons – praised by jazz critics for his naturally swinging vocal, elastic phrasing and engaging, highly personable stage presence. Together with some of the UK’s top straight-ahead & modern bebop musicians (players described by Jazzwise Magazine in review of Fitzsimmons’ album as “the cream of UK straight-ahead jazz musicians”). Known for their sassy new take on the genre, they re-style carefully-chosen standards from likes of Legrand, Strayhorn, Jobim, Mercer, Ellington with taste & verve. Interspersed with their formidable jazz versions of classic pop recordings (Beatles, Sam Cooke, Sting, Billy Preston, Paul Weller, Supergrass) plus a few of Fitzsimmons’own songs – some co-written with Sax Appeal frontman Derek Nash – has garnered them fans far & wide. 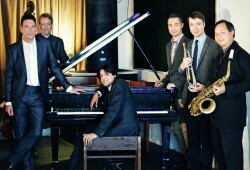 In addition, the band offer several projects particularly suitable for jazz festivals:- “Bright Lights, Big City: Tribute to Cannonball Adderley/Ernie Andrews/Eddie Vinson” (read preview here http://www.londonjazznews.com/2016/03/preview-kevin-fitzsimons-bright-lights.html); “The ‘In Crowd': Jazz In The Swinging 60s “(explores jazz artists that seeped into the mainstream during this unique time alongside new jazz translations of era’s pop hit-makers), “Too Marvellous: Sinatra At Capitol Today” (reimagines the rich seam from Sinatra’s supreme time on the Capitol label for today’s jazz fans). Long a fan of Mark Murphy, Kevin Fitzsimmons is a London born jazz singer, bandleader, lyricist & songwriter, with a self-produced album ‘Show Me The Way’ released to considerable critical acclaim. He’s enjoyed many sell out shows at Ronnie Scotts and at venues nationwide, a concert broadcast live on Jazz FM, headlined in 400 seater Athens concert backed by pioneers of Greek jazz scene, The Dimitris Kalant zis Quartet, and with his band appeared in E4′s Made In Chelsea. 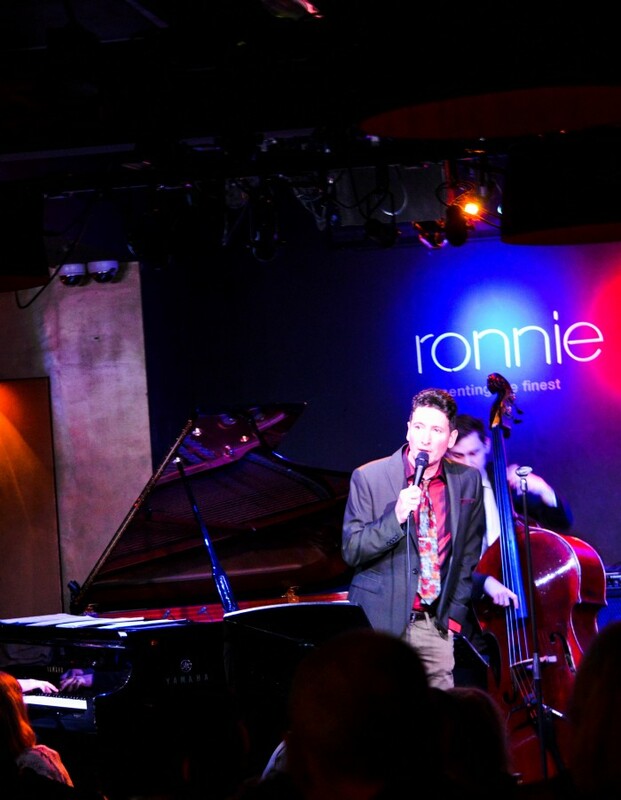 He plays all the top London jazz clubs, including The 606, Pizza Express Jazz Club Soho, has several festival appearances under his belt including Cheltenham Jazz Festival, and has sang at Birdland Jazz Club, NYC. His distinctive vocals been used by by global brands (like Louis Vuitton, Hermes) and corporations for campaigns in New York, Far East, Europe, London, as well as for TV and radio commercials – including a TV advert with Hollywood film star Naomi Watts. Furthermore, as a favoured vocalist on the corporate/party/private events scene, he’s entertained royalty twice and been booked by many celebrities and sports stars to sing at their own private events. A natural lyricist (& artist/cartoonist), he also writes in collaboration with musicians, most notably the Jools Holland saxophonist Derek Nash. In addition, and running separately to his career on the UK jazz scene, Kevin Fitzsimmons also fronts a touring Big Band theatre concert alongside the Pete Long Orchestra (‘Sinatra Sequins & Swing (The Capitol Years Live!’) based on Sinatra’s supreme era on the Capitol label.